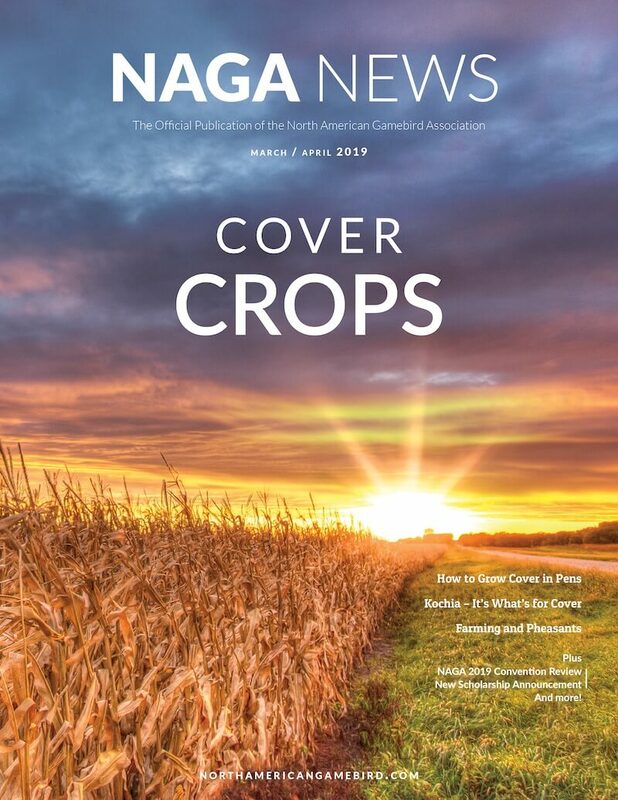 NAGA News is a bimonthly publication of the North American Gamebird Association that provides information to the game bird production and hunting preserve industry. NAGA News is published six times per year: Jan/Feb, Mar/Apr, May/Jun, Jul/Aug, Sept/Oct and Nov/Dec. NAGA News circulation is 700. 2019 advertising contracts are available now. Contact NAGA Director of Communications, Britney Booth at britney@northamericangamebird.com for advertising prices and specs.